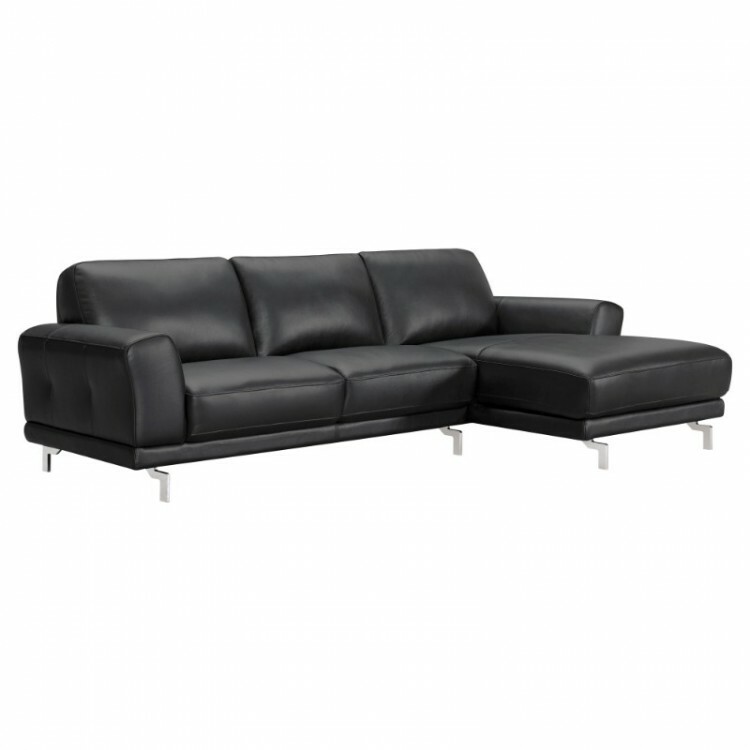 Description: The Armen Living Everly contemporary genuine leather sectional is a terrific comfort piece for any modern household. 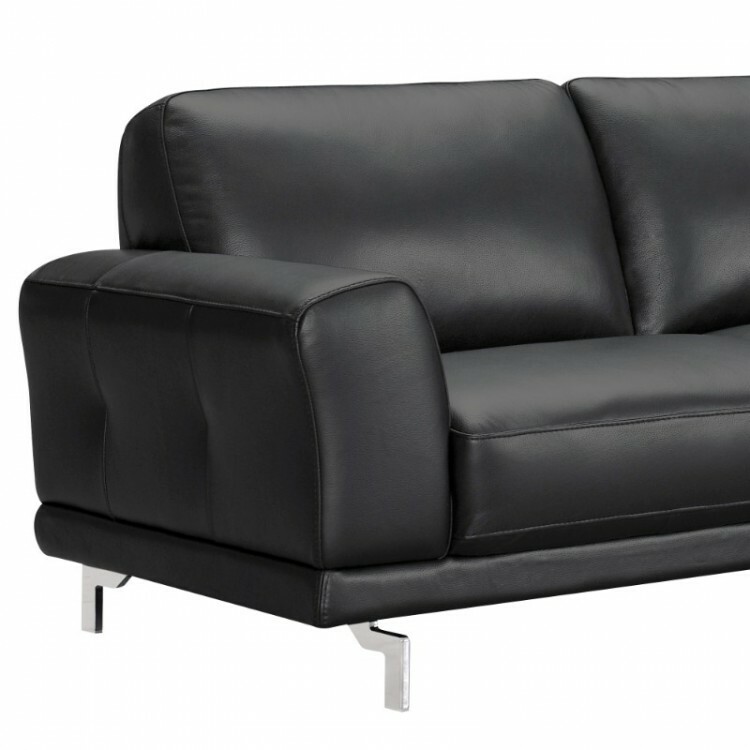 Retaining the sleek genuine cowhide leather and accompanying Dacron padding of the Everly sofa, the Everly sectional takes comfort to the next level with its extended corner piece. Perfect for lounging, the Everly is designed to offer the maximum degree of relaxation without compromising on the durability that the collection is known for. 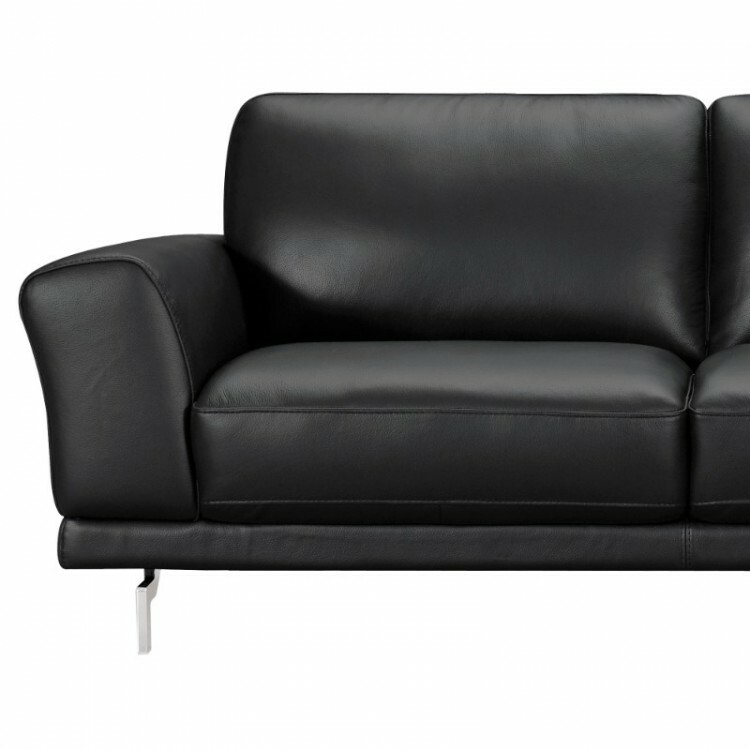 The Everly's upholstery is specifically made to prevent cracks and wrinkles through prolonged use. 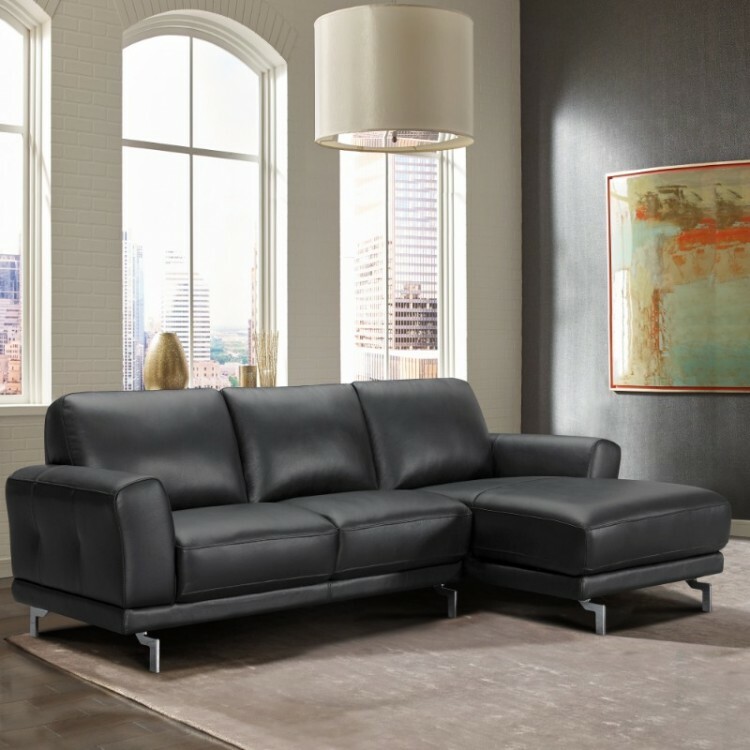 Ideal when paired with the rest of the Everly collection; sofa, loveseat, and chair, the Everly sectional is the perfect addition to the modern living room. 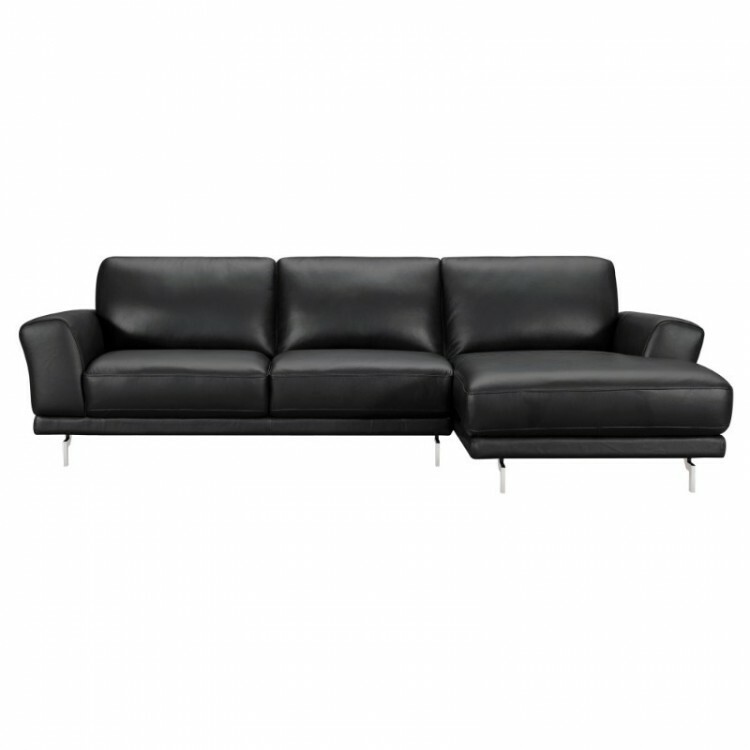 The Everly sectional is available in your choice of plush black or elegant dove grey leather.